Native to Southeast Asia, the fruit of the Thai Pomelo is pale green/yellow, with a thick rind and arguably the largest of all Citrus fruit. With a sweet taste that resembles a mild Grapefruit, the Thai Pomelo has virtually no bitterness. The Chandler Pomelo is known for its production of exceptionally large fruit, especially when compared with other citrus varieities. 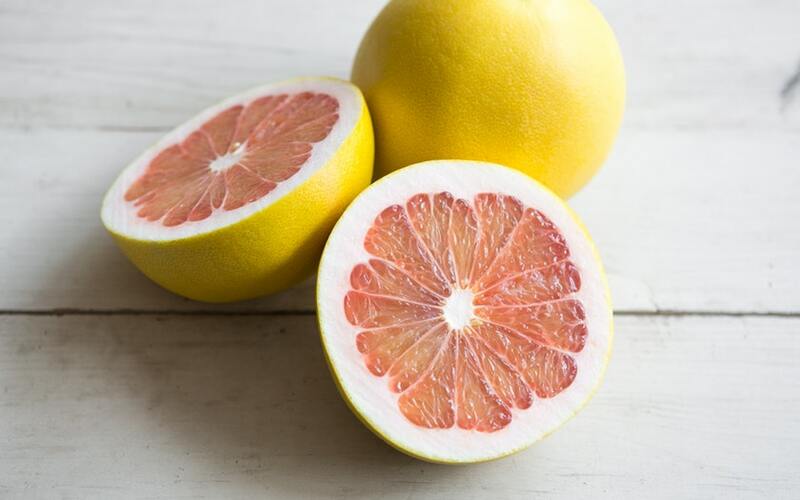 Particularly large and round, with a yellow to yellow-pink rind, the fruit of the Chandler Pomelo also has a light to dark pink-colored, juicy flesh is mostly sweet, with some acidic notes. Our trees are ready for you.